Have a look inside the pages of our latest release. Sorry, you need Flash to see the preview. 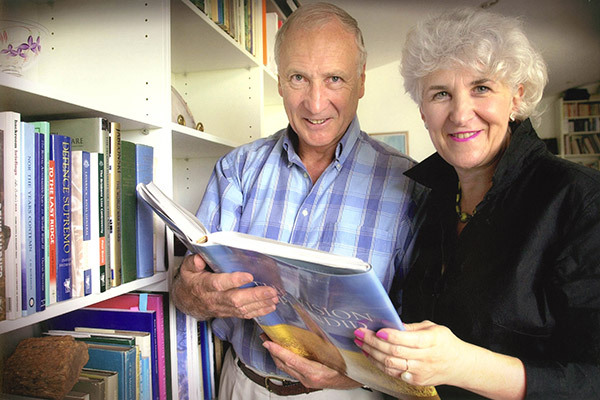 Peter and Sheila Forrest have so far published 22 major books about the people and places of northern and inland Australia. They have also authored innumerable newspaper stories and presented many broadcasts, films and videos. In addition, Peter and Sheila have developed a number of museums and display centres and they have done much work to guide the management of historic places. They have both lived and worked in Darwin for more than 30 years but Peter comes from the Ilfracombe district, right in the middle of Queensland. He grew up on a sheep station, midway between Longreach and Barcaldine. One of his first major works was A Rush for Grass, a history of his home district. Several of the Forrests' subsequent works have also been set in western Queensland. Like so many of the pioneers of the outback Australia, Sheila came to Australia from Scotland. She managed the Northern Territory Library until 1997, when she joined Peter in a productive partnership as historians, researchers, writers and publishers. 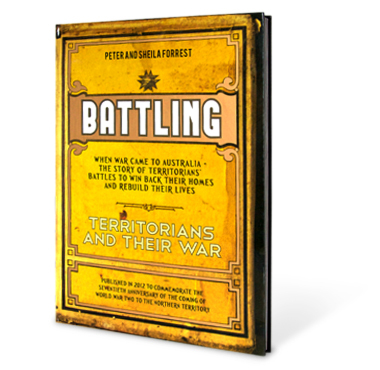 Their latest work, Battling: Territorians and Their War, is based on more than three decades of research into the events surrounding World War Two in the Northern Territory.